Charliene Clegg, age 79, of Monroe, formerly of Brodhead, passed away on Sunday, November 26, 2017, at Azura Memory Care of Monroe. She was born on April 9, 1938 in French Lick, IN, the daughter of Charlie and Ruth (Buckheister) Cole. She married Herman L. Clegg on April 7, 1956 in Jeffersonville, IN. He passed away on December 22, 2016. Charliene and her husband had lived in Janesville and Bruce, WI before moving to Brodhead. They also had lived in Mesa, AZ. 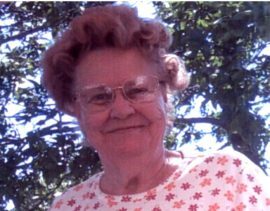 Charliene was a homemaker and enjoyed square dancing, camping, playing Euchre, and active with TOPS. She especially loved spending time with family. She is survived by her children; Charles (Cindy) Clegg, Milton, WI, Patricia (Garry) Scriber, Bancroft, MI, Deborah (James) Kamps, Brodhead, WI, Melvin (Sheila) Clegg, Chippewa Falls, WI; a brother, Wilburn (Mary Jo) Cole, IA; eight grandchildren and five great-grandchildren. She was preceded in death by her husband, four brothers, and two sisters. A Celebration of Life for Charliene and her husband Herman was held at 1:30 p.m., on Saturday, December 2, 2017, at the D.L. Newcomer Funeral Home, Brodhead, WI. Pastor Krystal Goodger officiated.